A living room is often a busy room in any home and is a space where the family often spends time together be it for entertaining guests or watching TV etc. Such a room that entertains often, should have lighting that has the capacity to create the right kind of ambiance. Different types of lighting that provide a good mix can be a great asset for a living room. Ambient Lighting: The kind of lighting that illuminates the entire room. Task Lighting: Task lighting works towards directing light to certain work zones. Accent Lighting: Brings out the best in the decorative elements of a decor. Intelligently mixing different lighting elements is what is important to create a good lighting scheme for a living room. Mixing floor lamps, table lamps with overhead lights, pendants or wall sconces in imaginative ways can give your decor that extra wow factor. The purpose of a room also greatly affects the lighting schemes. For instance, for a room that is used to watch TV it is a good idea to have dimmable lights. Being able to soften or brighten the lights also allows you to change the mood in the room. For a TV room, the accent lighting should not be overly elaborate since the shadow play can divert the attention. Minimum amount of task lighting is required and a reading or a table lamp placed where required is more than enough. For a space that is used often for reading, having general ambient lighting is good. Table lamps, floor lamps make important elements of task lighting. Adjustable lighting fixtures that are flexible as per the need are important. As for accent lighting, this is usually minimal unless you have a classic bookcase with good titles to show off. If your living room is often used for socializing lighting plays an important role in creating the right set up. Ambient Lighting is an important factor and all the elements like floor and table lamps, sconces and overhead lighting come into play to create the set up. Pendants or chandeliers add charming element to the decor creating a space that looks elegant and aesthetically appealing. For a space often used to socialize task lighting is not as important. A well-placed table lamp or sconces can effectively illuminate surfaces that might be useful. Accent lighting in this case gives you the perfect opportunity illuminate your decorative elements. Decorative pendants, portable fixtures, picture lights and overhead spotlights to illuminate any artwork that you might have incorporated will look very charming. Grok Lighting provides you the perfect elements to design a space to your liking. A contemporary product line designed to decorate and build spaces through attractive design and interaction, Grok Lighting solutions will surely help make a space look tasteful. Grok forms part of the LEDS-C4 group, which has been designing and producing lighting products for interior and exterior design projects for over 40 years. More than four decades of innovation to offer the best services and light quality on all projects. With Elegance authenticity and personality being our strongest suits, we create spaces and sensations through light. 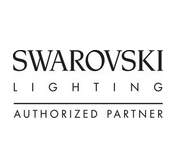 Browse our online lighting cateloges to see Grok Lighting and other suppliers.